Identification: Abdomen striped purplish brown and yellow, white toward base. Wings dull brown with no markings. 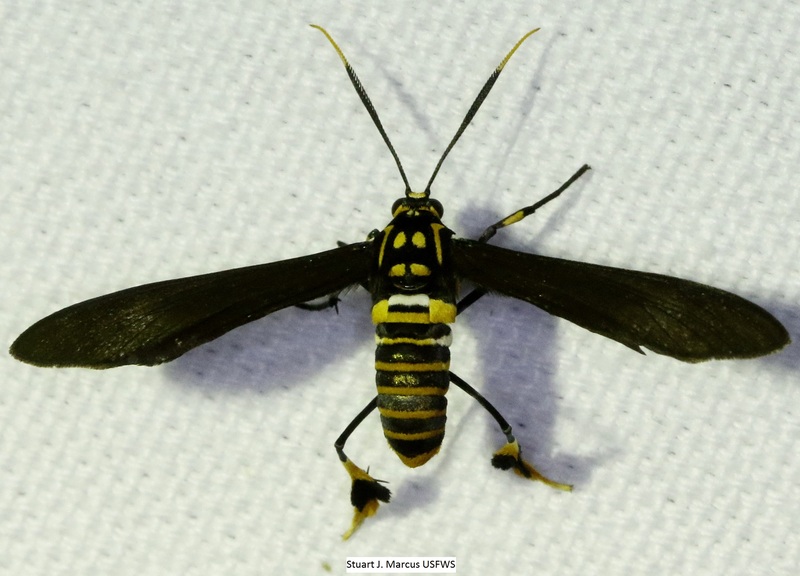 Hind leg yellow with black base and tuft (hair scales) in male. 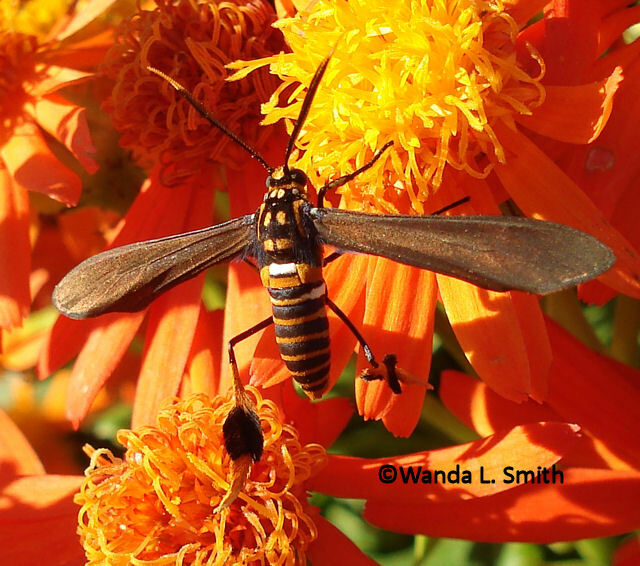 This moth looks like a paper wasp (Polistes species). North American subspecies is H. panthalon texana. Range: South Texas, and rare in Florida.